November 12th will see the release of ‘Live Kisses’ – a stunning 13-song film, directed by Jonas Åkerlund, that captures the magic of an extraordinary evening in February of this year. 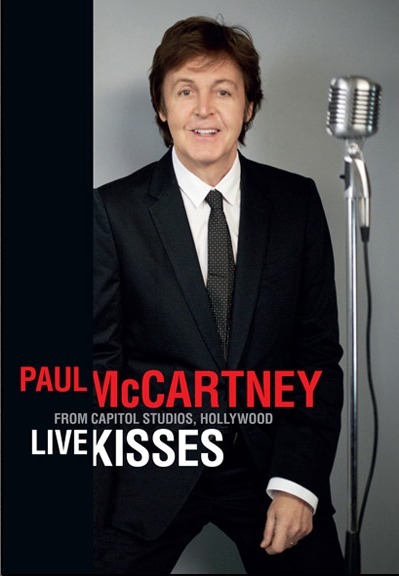 In the intimate surroundings of Capitol Studios in Los Angeles, where Paul recorded much of his ‘Kisses On The Bottom’ album, he was reunited with the all-star musicians who joined him on the record to bring the songs to life for a once in a lifetime performance. This was a concert unlike any Paul had given before. 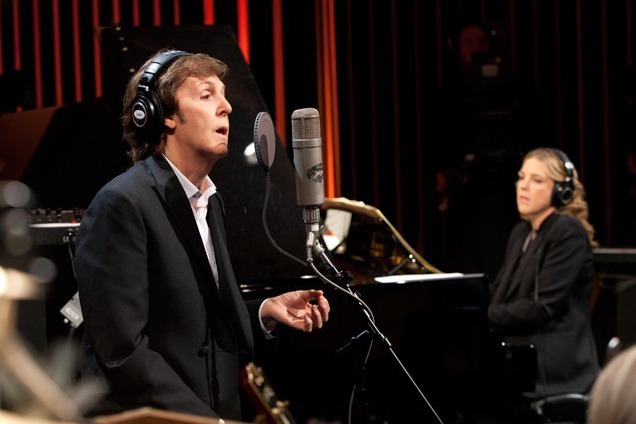 Without his famous Höfner bass in hand or in fact any musical instruments, Paul took his place behind the same microphone that has captured some of the most iconic voices in history to focus on his vocal delivery as he led the assembled A-list group of musicians through a collection of the standards he grew up listening to in his childhood, as well as his own original composition ‘My Valentine’. Streamed live to the world online, ‘Live Kisses’ marked the launch of Paul’s ‘Kisses On The Bottom’ album. The film tells the story of how, with the help of Grammy Award-winning producer Tommy LiPuma, Diana Krall and her band, Paul created a critically acclaimed album, which featured guest appearances from Eric Clapton and Stevie Wonder. The record represents a deeply personal journey through classic American compositions that a young Paul first heard his father perform on piano at home. Upon its release ‘Kisses…’ topped the US Billboard Jazz album chart at number 1, as well as charting Top 5 all around the world. Bonus ‘Live Kisses’ material includes six versions of the ‘My Valentine’ music video, directed by Paul and starring Johnny Depp and Natalie Portman as well as a ‘Making My Valentine’ film. There are also two short films with behind the scenes footage filmed at the Mary McCartney album photoshoot for ‘Kisses On The Bottom’. The final extra is an interview with Paul and producer Tommy LiPuma talking about the story of the album, its conception and creation. ‘Live Kisses’ is an intimate and charming concert film which offers an insight into the music and songwriters that inspired Paul to go on to become the most successful songwriter and performer in modern history. Beautifully presented, ‘Live Kisses’ comes with a 40-page hardback book containing photographs from the day itself, including the rehearsals. This entry was posted in Beatles, Beatles Music, Paul McCartney and tagged Beatles, Beatles Collecting, Beatles Related, Diana Krall, Kisses on the Bottom, Live Kisses, Paul McCartney by beatlesblogger. Bookmark the permalink. PAUL MCCARTNEY IS THE GREATEST MUSIC ARTIST OF ALL TIME! FROM JOE CHICK THE KRUDDZ! THE BEATLES ARE THE BEST BAND EVER! JOE CHICK THE KRUDDZ! This is maybe the greatest album of Paul in the latest years. I saw Live kisses during a flight and I had to see it almost three times. A wonderful experience entirely, I really enjoyed it.